Citazione: These sanctions were supposed to punish Moscow's elite, but instead they've spurred economic development and patriotism. The current conversation about Russia sanctions centers around targeting and scope. Are we punishing the people whose behavior we most want to change? Is there pain, well inflicted, on those individuals responsible for creating chaos in Ukraine and Crimea, for reckless attacks on Sergei Skripal and others, and for wanton interference in Western elections? Can we hurt Russian elites in a way that Putin will notice? Have we done enough? In July of last year, Putin announced that the countersanctions would remain in place at least through December 2019. This was no surprise. Why would he backtrack, when his previously languishing farmers have thrived under these new conditions? The sanctions created an opportunity to build back a crippled Russian food industry, and Putin grabbed it. Recent U.S. tariffs have expanded the opening even further to new export markets. Moving forward, the Trump administration needs to think this through: unintended consequences are more likely when a clever adversary is actively looking for ways to create and exploit them. Regardless of whether Trump sees Russia as an adversary or wants to maintain sanctions at all, it’s hard to imagine the bolstering of a Russian competitor to U.S. farmers as a desired outcome of the sanctions regime. In this specific case, Russia remains a few steps ahead in the game. Citazione: The Pentagon’s next-generation interceptor warhead to kill ballistic missiles, the Redesigned Kill Vehicle (KV), is at least two years away from working out its issues, despite years of development. That pushes back the fielding of the last pieces of a $40 billion dollar missile defense system that has struggled since the late 1990s. The RKV delay won’t effect the overall expansion of the Ground-based Midcourse Defense (GMD) system from 44 to 64 interceptors based in California and Alaska — meant to protect the United States from North Korean missiles — but it does ensure that the existing interceptor, the Exoastmospheric Kill Vehicle (EKV), s will stay in service even longer, despite a spotty track record. Both the fledgling RKV and the current EKV are built by Raytheon. Both go on the same booster rocket, the Ground-Based Interceptor. The GBI soars above the atmosphere into space, where the kill vehicle detaches and collides with the incoming ICBM, destroying it (hence the name “kill vehicle”). 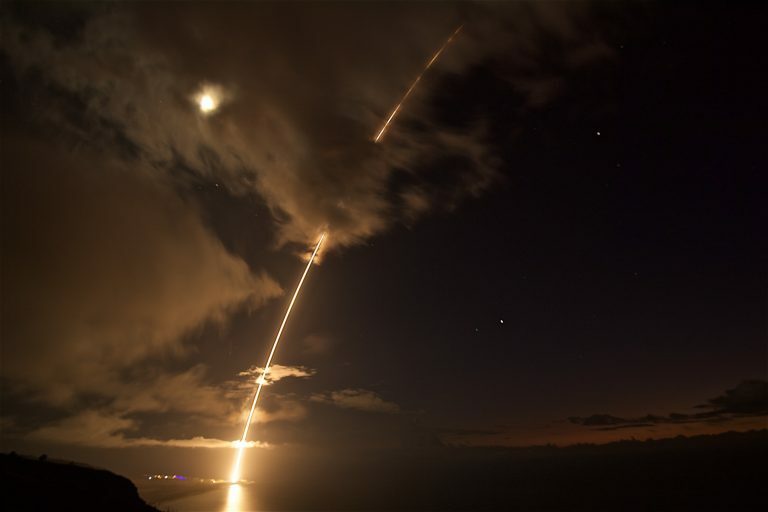 Citazione: Defense officials have asked for $304 million to fund research into space-based lasers, particle beams, and other new forms of missile defense next year.